The Victorian Music Development Office is prioritising China in alignment with the Victorian State Government’s new China strategy ‘Partnerships for Prosperity’. First series aimed at opening pathways and creating works internationally. It’s been identified as a key prospect for expansion. China has a population of almost 1.4 billion, many of which with increasing disposable income, so they make up a huge part of the future market. It will be one of the biggest music markets within the next three years. It’s in its infancy, but it’s the next frontier. Matthew Daniel revealed that the Chinese audience was listening almost exclusively to Chinese music for a long time, but now 50 percent of music listened to on Chinese streaming services is international. However, most of the Chinese population does not speak or read English and does not have access to mainstream Western media and social media. So labels and artists must provide context for their music to this audience. The audience for most shows are almost all young people, and those audiences are growing fast. Lolly Fan said foreign bands who tour in China are met by enthusiastic audiences, who are keen to see more international acts. b. Who are Chinese music listeners? What is popular in China is dictated primarily by a young audience. Opportunities for artists to tour and distribute music in China would be primarily for this young audience. This is due to the fact that traditionally, Chinese individuals do not go out as much socially once they marry. Currently, dance music and soundtracks are particularly popular with younger audiences, and pop music is enjoyed enthusiastically across many age groups. c. How is music monetised in China? The Chinese music economy was virtually non-existent for a long time, as pirating was the norm in sourcing music. Pirated records would be for sale in stores alongside licenced copies. Most music is free to listen to and is monetised by advertising, though some streaming services, such as NetEase, have recently shifted to charge a small monthly fee for usage. Paid for subscriptions make up about 3.6 percent of streaming users. Though some statistics may seem poor on the engagement of the Chinese market, they are not necessarily representative of the market and its potential. Alessandro Pavanello suggests that smaller players, who make up a huge part of the market, are not always represented in studies of the Chinese music market. The market has already shifted dramatically away from its past as a music economy that was almost entirely made up of illegal downloads. Most revenue comes from dance music and soundtracks, representative of the younger demographic influence. Though the model on which music is monetised in China is new, the panel acknowledge with a great deal of enthusiasm, that they are starting a ground zero, so there is potential to build a better model that has even been used in other nations. d. How are artists being paid in China? plays a large role in creating revenue for artists, and that will only continue to increase. Synchronising provides more revenue than streaming. CoolVox and similar stock music services allow artists to feature their music, but if an artist is completely on their own, game developers present the best opportunity for artists to have their music synced and exposed to a large audience. Brand deals are particularly lucrative in the Chinese market. Touring also provides significant opportunity for financial gain. And this is not limited to the ‘big name’ acts. Vance Joy, Courtney Barnett, Mall Rats etc are all gaining more traction in the Chinese market via streaming, more so than Tame Impala, for example. So if these smaller acts are willing to invest in the market, there is significant potential for growth. As a case study, Melbourne musician Lenka is very popular in China, and she has brand partnerships. Some social media apps provide the opportunity to live stream singing and offer live interactions for ‘tips’, however this should not be mistaken as an opportunity to build on a music career. It is first and foremost a social platform, based on personality, not musicianship. Touring also provides a great opportunity to monetise music in China. The festival and live music sector is still very new, but it is growing, particularly when compared to the same scene ten years ago. For example, Lolly Fan revealed a festival run at a University town sold out, with 90 percent of the audience being students. And Strawberry music festival is a long running event in China. Second tier and third tier cities are keen to invite more international acts to tour, as they don’t have the same regular opportunities to see live music as first tier cities. Beijing and Shanghai can experience difficulties in hosting events due to government control – for example, Ultra Music Festival’s Beijing festival was cancelled a week before it was meant to go ahead – these second tier and third tier cities do not experience the same level of restriction. b. Where to start? There is not a consistent formula. There’s a lot of factors, and there is money in the market, but it’s not easy for music industry professionals and artists to navigate without making the move to China. It is important for music professionals get on the ground, make the physical trip to China, learn about the market, and grow to truly understand it. There are a lot of middle men in the market, so it can be confusing if you’re not already well versed. Values and social choices can influence what the right decision is for an individual, so finding a local promoter that suits your needs and values is a smart first step. A lot of respect and trust comes from companies if the music professional is actually in China, rather than sending emails from overseas. In a practical sense, the hardest part of getting into China for artists is obtaining a performance Visa. Performing with a festival makes it easier, as the festival will organise the Visa. Small bands can do something as simple as write an email to their embassy asking for assistance. a. How can artists connect to an audience in such a closed and controlled country? The internet is free in China and is far less restricted than the Western world at times portrays it. Though China does not use Western media platforms and streaming services, it has its own thriving services. Just as artists need social media strategies for the Western market, they need a strategy for the Chinese market, and it needs to be tailored for the different markets. There are specific strategies to best navigate Chinese social media platforms and markets. Enlisting the services of a Chinese speaking individual is necessary. The best social media platforms for artists are WeChat, and WeChat Groups, Weibo, and Toudo Youku. WeChat in particular offers in-app purchases of music, and is incredibly widely used, it is the preferred form of communication in China, even over email. If international artists wish to be streamed in China, they must go through a distributor. Local management teams are not necessary but are useful in gaining distribution and recognition. Live streaming is extremely popular in China, and provides a unique opportunity for artists to access the Chinese market. Revenue is limited, but it is a chance to gain notoriety. a. Is the move into the Chinese market worth it? professionals can make the move, there is evidence that there will be opportunities for success and financial return. In five years, China will be one of the world’s top music markets. There will be more touring and Western presence. So that market is worth taking note of when planning touring schedules and distribution. Bringing any artist to any nation will not make sense without having work to do, so artists and music professionals must be ready to put in effort. There are opportunities for producers to work with Chinese artists, and more music industry opportunities beyond artists and record sales. There are opportunities that don’t exist yet in China, but just because it hasn’t happened yet doesn’t mean it never will. One city in China is worth all of Australia, it is a huge opportunity for growth. 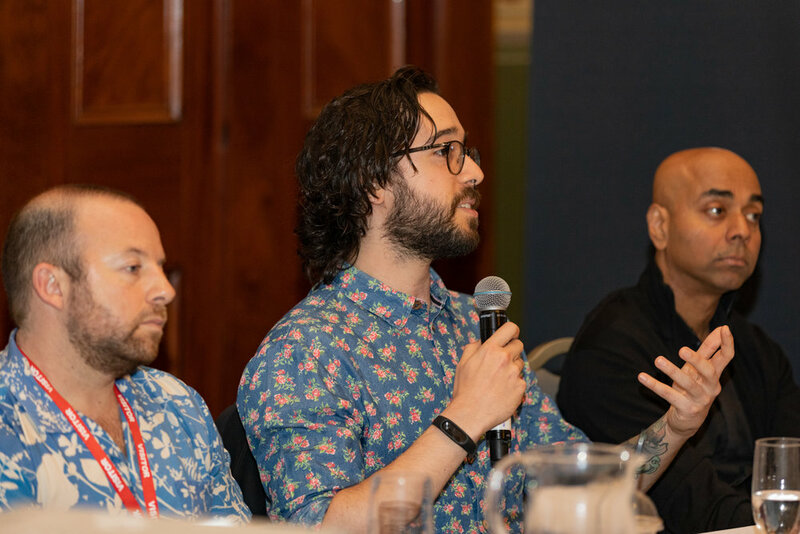 Though currently the conversation is centred around future opportunities, in 3-5 years, that will shift to practical steps Australian music professionals can take to make the move into the Chinese market. Instead of asking if there is a template to move to the Chinese market, music professionals should go out and create their own. Figure out what the uniquely Australia approach can be brought to the Chinese music market.